Cn Times Books Inc., 9781627740142, 202pp. Royal Gardens explores the development of Chinese imperial gardens, from the Shang dynasty to the Qing dynasty. In ancient China, garden architecture developed from a primitive state to to a highly sophisticated endeavor, with natural beauty reigning as the main theme of garden building. The size and opulence of imperial gardens increased dramatically as time passed. Gardens were conceived as hunting grounds for emperors, but gradually evolved into sanctuaries for rest, relaxation and meditation. Therefore, imperial gardens are generally located in or near seats of Imperial power. As China developed politically and economically, the accumulation of wealth made the building of a great variety of gardens possible. In these gardens, royal families indulged in a variety of activities, such as playing chess, giving banquets, and holding hunting parties. Due to the passing of time and destruction from war, most of the imperial gardens no longer exist today. Some from the Ming and Qing dynasties have been well preserved, and many of those are depicted here, with exquisite photography and detailed descriptions. Royal Gardens includes 131 color photographs, 16 illustrations and figures, and 2 maps, including paintings and drawings of ancient gardens, layout plans of royal summer palaces, and gorgeous photography of the natural beauty of China. 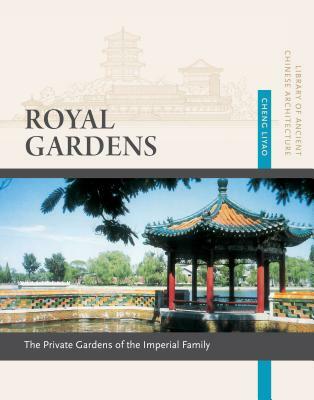 Cheng Liyao provides the reader with detailed descriptions of various imperial gardens, offering great insight into an important part of Chinese architecture. Cheng Liyao was born in 1932. He graduated from the School of Architecture, Tsinghua University in 1955, and is now a senior editor of the China Architecture & Building Press. In his early years he was engaged in city planning and design work, and he has also published many books, including "Chinese Garden Architecture," " Impact of Chinese Garden Architecture on European Gardens," and "Classical Garden Architecture of Japan." Liyao also works as a translator, while recently he has edited the" Series of Famous Chinese Historical and Cultural Cities." He also wrote "Private Gardens," another volume of the "Library of Ancient Chinese Architecture" series.